NAS Sanford became home to thousands of U.S. Navy personnel,including aviators and ground support crews. The airfield was named after LCDR Robert W. Ramey, a decorated WW II pilot. He sacrificed his life in 1958 while saving his crew before his A3D Skywarrior exploded and crashed. Captain Kim Kimmons was the last NAS wing commander before the base was closed and moved to NAS Albany, Georgia in 1968. Commander Leroy Heath and Lt. Larry Monroe set a new world altitude record of 91,451 feet while flying an RA-5C Vigilante. They were both awarded the Distinguished Flying Cross and Air Medals. 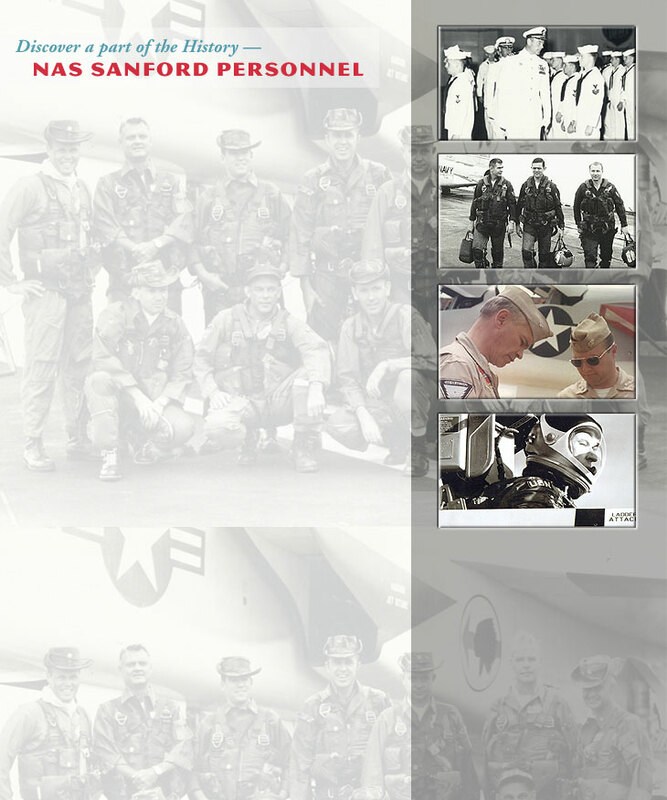 The photographs below represent the pilots, crews and families that were assigned to NAS Sanford.